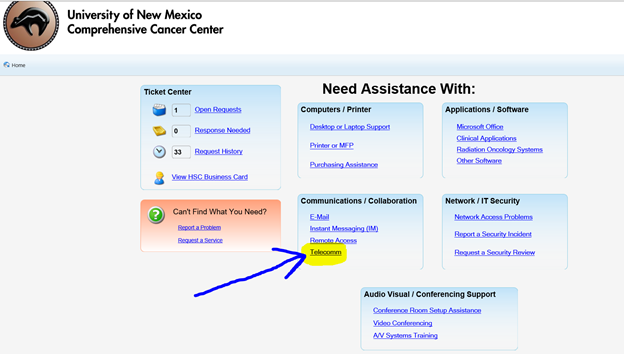 We have added a link to the UNM CCC IT support request portal for Telecom support. Please use this link to request support for any phone or telecommunication related issues. We’ve also added a dropdown list that you can use to select a specific type request. See screenshots below for the details.